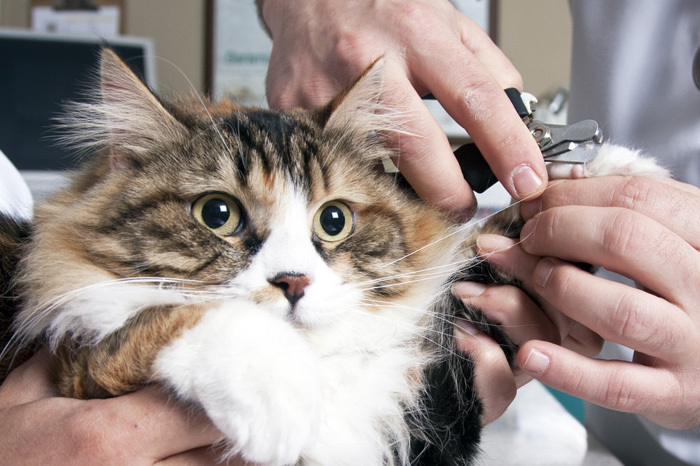 Cat declawing is something that many cat owners think about when they see that their pet scratches. You have many options that can be used to protect your furniture and you might want to be informed before you take a decision. This is since there are some side effects that are totally negative and might keep you from making such a choice. When you declaw the cat, there is always the possibility that the demeanor will be changed forever. The claws are a natural defense weapon for the feline and she can become worried when they disappear. Aggression can appear because of a lack of safety. The cat might not completely recover after the surgery. A cat will use front paws for balance and when there are balance problems, you can be sure that the cat will feel discomfort. Older cats are particularly affected by this since surgery recovery is much tougher for them. This is rare but it might happen. Unfortunately, a cat can die because of anesthesia side effects. In addition, bleeding out is possible and vets will find that very hard to repair. There are some rare cases in which the cat does not wake up after the declawing surgery. The chances of this happening can be reduced if the doctor takes all the safety measures, but it is still quite a problem. It is clearly a really tough choice to make. You need to think about all the disadvantages mentioned above before you make the final decision. When you want to declaw the cat, you have to think about age, medical history, weight and whether or not the claws are actually a problem. Do not be selfish and make your final choice with the cat’s best interest in mind.